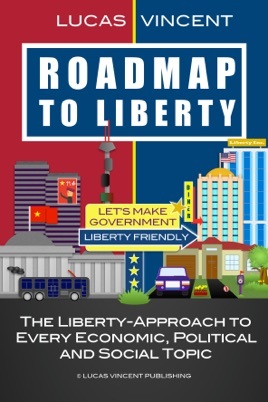 ROADMAP TO LIBERTY lays out how free markets have the power to solve the countless problems of big government. Every major economic, political and social issue is covered: ranging from our $22 trillion in welfare spending that has failed to lower poverty by even 1% point over the last 50 years, to our bloated military industrial complex that costs the average US taxpayer $5,000 per year. Your time is limited - this is why I made all efforts to summarize everything you need to know about liberty in little more than 40 chapters and sub-chapters - readable in any order! "Roadmap to Liberty" has one of the highest "information densities" of any book out there - promised. Above list includes just the tiniest tip of the iceberg of mind-blowing, around-the-world case stories.